I challenge you to continue reading and discover how to simply and easily empower yourself with God’s Word daily. Find out WHY Christian believers should be meditating GOD’s WORD! Is Christian Meditation a Powerful “Lost Art”? 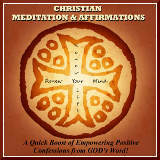 Christian meditation is a choice, and a positive, life transforming choice at that. The Bible makes it clear that meditation is for God’s children. However, meditation seems to be a “lost art” for most believers these days. How about the fact that the Bible commands us to? God says to meditate on His Word day and night so we will obey it. How can we do and obey without first having an understanding of what is required? Meditation on the Kingdom of God way of living gives us that knowledge. It also empowers us to act on it. Success in life comes by continually meditating on God’s Word and doing the Word! Case in point: Meditation on the laws of God’s kingdom can take us out of the spiritual Stone Age and into a life where spiritual wonders and miracles await! What Is Christian Meditation And Why Is It Vital For You To Know? There are various techniques, methods, and ways to meditate. The important thing, as a believer, is to understand what it is and how this powerful practice transforms lives. The truth is: A key to a successful and prosperous life is discovering what Christian meditation is and making it a daily habit in life. To meditate is to ponder, think deeply, affirm, contemplate, think over, muse, reflect, speculate, memorize, confess, pray, recite, sing, speak, and practice focused study on the Word of God. The Bible says that those who delight in the law of the Lord, and in His law meditate day and night, they are blessed. (Psalm 1:1-2). Meditation is sometimes referred to as our spiritual digestive system; which breaks down the Word of God and digests it in our spirit. Think about it: You might know that a meal is full of vital nutrients. You might be able to see and smell that it is good. However, it is quite obvious that the food will not nourish and benefit your life until you consume it and eat it. 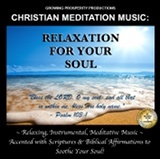 Christian meditation involves the process of actively thinking on scriptures. We give ourselves to the study of the Word by immersing ourselves in it in various ways. It also involves praying over it and asking God to give us understanding by His Spirit; who promised to lead us in all truth. Following the discovery and understanding of these truths, we are to put them into action in our lives. A commitment is made to make the things of God our standard for daily living. Meditate on the Word of God until it becomes more real to you than anything else. Begin to make the power of meditation a daily habit. Then act on the truths revealed by the Holy Spirit. This will cause spiritual growth in your life and bring success. 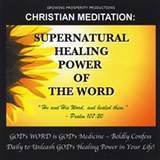 Real knowledge, revelation, and success in life come from the habit of meditating on God’s Word. No doubt about it: God places a great emphasis on His Word. Scripture tells us that He sustains everything by His Word. So as Christian believers, we should also place a great emphasis on it and daily meditate on the life transforming power of God’s Word. 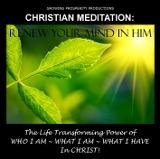 Are you ready to make Christian meditation a priority in your life?